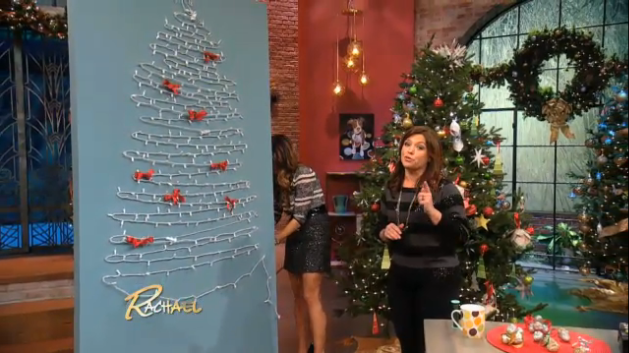 Make a fake tree out of lights! I totally would have done this in my old apartment if I had thought of this! I love a real tree, but for the most part I feel the lights are the best part of the tree (makes the house so cozy!) and this is a cute spin on the least-room-taking-up-tree idea ever. 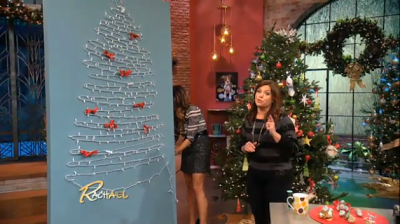 Sorry, Rach, for the freeze frame shot of you talking & pointing, it was unavoidable. PS - I tried to get a better picture but it does not exist. Please excuse the small file size.